We are looking for Certified CFSC/CRFSC instructors and Hunter Safety Course instructors to join our growing team. We offer solo and team teaching opportunities across Ontario, and we have consistently filled 92-95% of our classroom seats over the last three years. 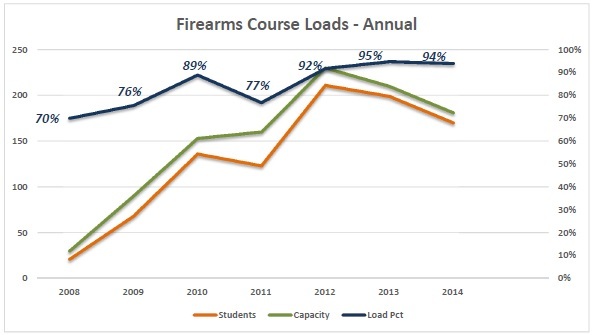 We have been delivering CFSC/CRFSC courses to law enforcement, private groups and the public since 2008 – averaging about 175-200 students a year, and we are always looking for new team members to help us grow. WE ARE CURRENTLY LOOKING FOR INSTRUCTORS TO WORK WITH US IN HALTON REGION, YORK REGION, DURHAM REGION, KITCHENER/WATERLOO, AND GUELPH. Simple. We have generous compensation options, offer as many or as few courses and students as you wish, and can locate our courses close to your home base. We supply professional presentation equipment, instructor shirts, and even support staff to help courses and exams run smoothly. Our marketing, front office, and web registration work seamlessly to fill seats and collect payments so you don’t have to. Email us your contact details and ON# at jobs@wellesleyservices.ca and ask for an instructor package. The PDF file will highlight our revenue sharing options, and give you more insight into our company and instructors. From time to time we also hire assistants/proctors to help deliver and supervise our written exams, and help the instructors with course delivery. A restricted PAL is required. You can earn income by referring customers who register for our courses. We have generous, tiered compensation — the more referrals you generate, the higher the compensation. Find out more about our Affiliate Program by clicking here. We also occasionally hire for other supporting roles, such as business support, marketing, content writing, social media management, and more. See our listings on our corporate website, www.wellesleyservices.ca.